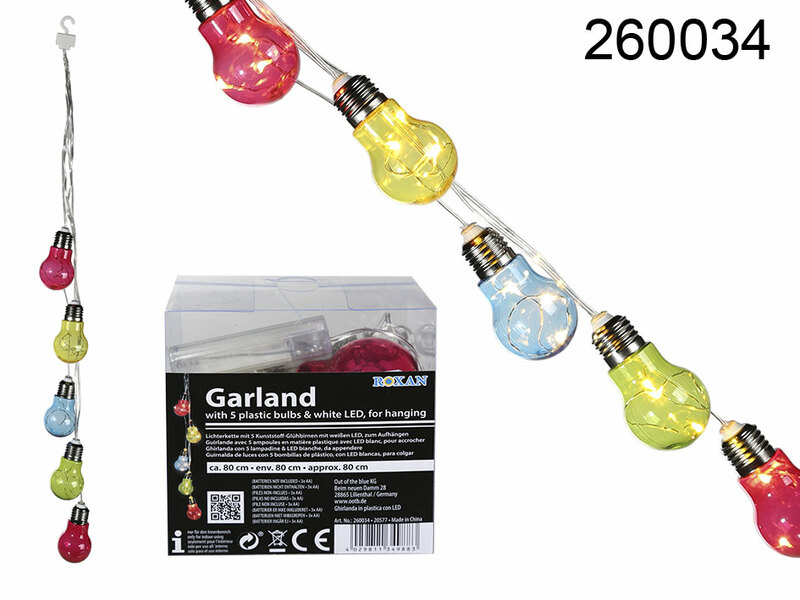 Garland for hanging with 5 multicoloured bulbs with LEDs. Great decoration for every home and office. Lovely item for office parties. For indoor use only. Battery-operated (for 3 AA batteries - not included). Due to electricity supply from batteries the garland can be placed virtually everywhere. Diameter of a bulb: 8 cm; length of the garland: 75 cm. In PVC box. Size: 12 x 9 x 12 cm.